What most people don’t realize is that diabetes itself isn’t what usually kills diabetics. More than two out of three people with diabetes will die from a heart attack or stroke. But a new study shows that one food has the potential to save many of them. Dr. Gang Liu and his colleagues at Harvard University analyzed diet information from 16,217 diabetes patients. Special attention was given to their consumption of nuts over several years. There were 3,356 cases of heart disease and 789 strokes among the study subjects. 17% less likely to get heart disease. 34% less likely to die of it. 20% less likely to suffer hardening of the arteries. 31% less likely to die of any cause. And the more nuts you eat, the better. Every additional serving of nuts per week lowers risk of cardiovascular death by 6%. 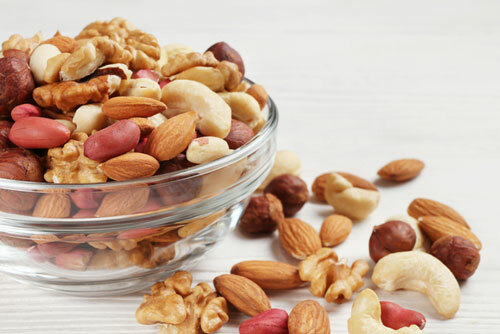 For years, mainstream doctors warned patients not to eat nuts because they thought they were fattening. But the Harvard team reports that nuts may be the closest thing there is to a wonder-food. They reduce inflammation, improve blood sugar, and control blood pressure. Previous studies have found that nuts actually prevent weight gain and reduce food cravings. Peanuts were included in the Harvard study, although they are technically legumes rather than nuts. But tree nuts were found to have the strongest heart-protective effects. These include almonds, Brazil nuts, pistachios, cashews, pecans, macadamias, and hazelnuts. To reap the benefits found in the study, eat at least a handful a day. Editor’s Note: If you have blood sugar issues, there’s something you need to know… Diabetes drugs actually worsen the condition that kills most diabetics. Learn how to protect yourself by reading Independent Healing, your source for unbiased health information.